If you are looking for a dental care experience that is luxurious, reliable, and designed to exceed expectations, Robison Dental Group is the right place for you. Dr. J.D. 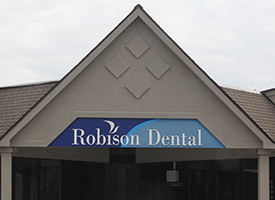 Robison and his team do not compromise when it comes to the quality of their approach – they have a genuine passion for excellence in this field and maintain high ethical standards as well, providing treatment that will improve both oral health and smile aesthetics per the patient’s desires. We want to make a positive difference for not only your teeth, but your overall quality of life! Dr. Robison literally grew up in a dental office—his grandfather started practicing dentistry in the 1940s, and his father followed in his footsteps. Because of this, he has cultivated a deep respect for providing oral healthcare for Canton families. His entire life, he has seen firsthand just how much of a difference it can make for someone’s health and confidence, and it’s a responsibility he takes very seriously. His main goals are to expand his family’s legacy and help an even wider variety of people. Visiting the dentist’s office shouldn’t have to cost you too much valuable, travel-related time. Our Canton practice is located only minutes from 275 and situated right by Canton High School and Salem High School as well. Patients from the nearby communities of Westland, Plymouth, Northville, and Livonia can also reach us easily. In order to benefit your busy schedule, we also open as early as 7:00 am on Thursdays and offer appointments as late as 6:00 pm on Wednesdays. We enjoy being able to offer much-needed flexibility and convenience to our patient base so that high-quality oral healthcare is always within reach. 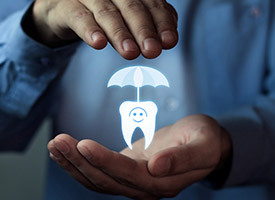 Navigating the ins and outs of your specific dental insurance plan can feel like an overwhelming prospect. Thankfully, our experienced team members at Robison Dental Group are always here to lend a helping hand. We are happy to accept virtually all major coverage and will personally handle the filing of claims of your behalf. Our knowledge of the system will help us maximize the reimbursements you deserve, and we will also provide accurate estimates of what you can expect to be covered and what will need to be paid out of pocket. No dental insurance? Flexible financing through CareCredit and Lending Club (formally Springstone Financial) is also available for simplifying extensive treatment plans into more affordable monthly payments. We will work with you in order to make the financial aspects of treatment as smooth and stress-free as possible. We look forward to welcoming you in as our newest patient, listening to your needs, and helping you achieve results that are truly smile-inducing. Please contact Robison Dental Group today if you have any questions our team can help you with or if you’re ready to schedule a first consultation.